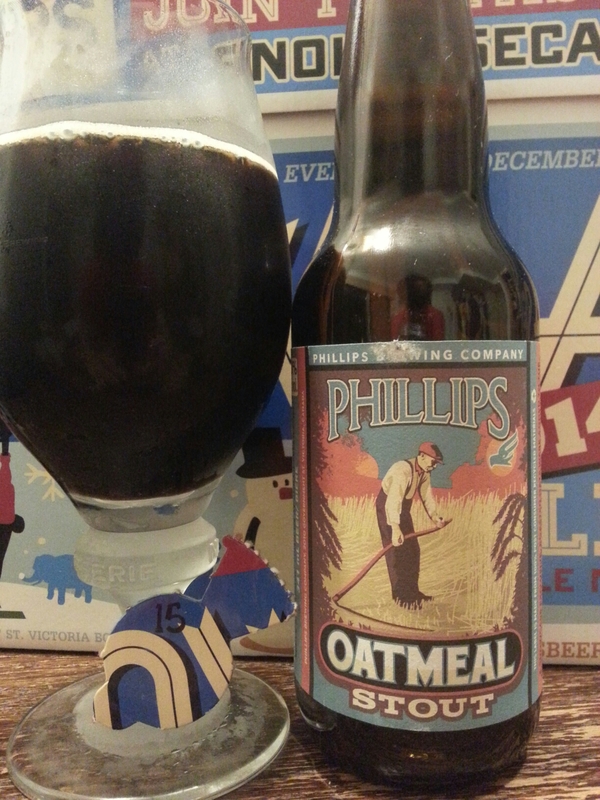 Phillips Snowcase 2014 Calendar Day #15 – Oatmeal Stout | Justintoxicated. Visual: Pours pitch black with a small 1mm dissipating head, ringed retention, lots of singular tight streams around the perimeter. Finish: more roasted barley malt subtle bitter-sweet, malty malty malty. Summary: Drinks great at 11°C. 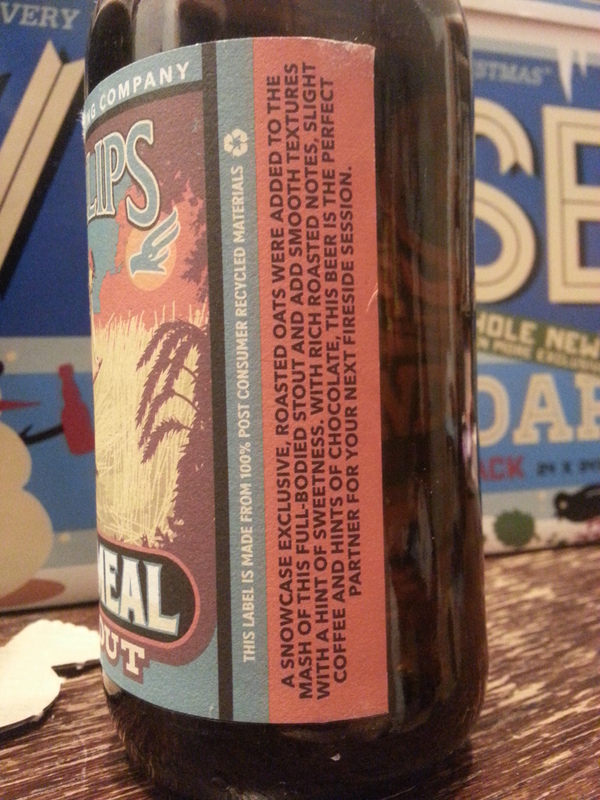 Nothing too special here, lots of roasted malt, medium length and body, wished for more complexity.